This is the most ordinary way we Open files in order to edit them. When using this command we can only look at the file, which means we can edit it, but we can’t save the changes that we have made to the actual file. In order to save it, we must use the Save As command and give the file a new name. In the image below is an example of using the command Open Read–Only, where we notice the [Read-Only] at the right of the workbooks file name. When using this command, it opens a copy of the file that we have selected. This is a quite handy feature in case we don’t want to mess up with the original file. We can always have the original file as a backup copy. In the image below is an example of using the command Open As Copy, where we notice the Copy (1) at the left of the workbooks file name. We can open as many copies as we want, but each time the number will change depending on how many copies we have opened. When we use this command, it opens the file that we have previously saved as a Web Page with our default browser. If we have saved the file as an ordinary file, the command will not be available to use. 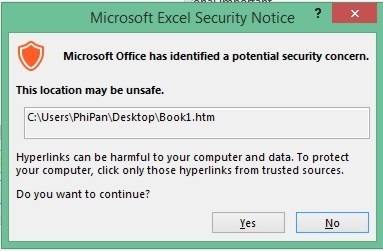 Once the Open In Browser command is selected, a security dialog box appears, warning us about potential security concerns as shown in the image below. If we want to continue we just press the Yes button or the No button if we don’t want to open it. In the image below is an example of the file opened with our default Web Browser. When we select this command, the file opens in Protected View, meaning that we can’t not make any changes to the contents, unless we click the Enable Editing button. 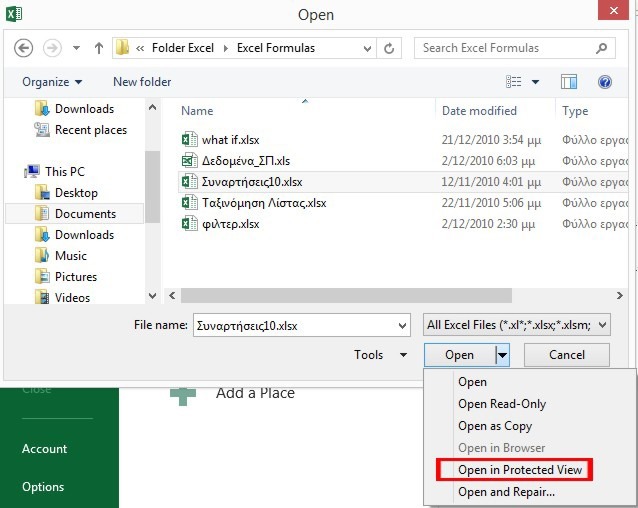 The image below is an example of using the command Open In Protected View, where we notice [Protected View] at the right of the workbooks file name, and the Protected View ribbon right below with the warning Protected View: This File Was Opened In Protected View, and the Enable Editing button, which we can press in order to activate the workbook for editing. We use this command, when we have a corrupted file. This command tries to repair the file before it opens. Repair: We select this command if we want to recover as much of our work as possible. Extract Data: We select this command if we want to extract as much data as we can, just in case the Repair command did not work. Cancel: If we want to cancel Opening and Repairing the workbook. Below you can check out the video describing the different options on how to open a file in Microsoft Office 13. Posted on January 7, 2014, in Microsoft Office 2013 English, Office 2013 English and tagged Microsoft Office, Microsoft Office 13, MVP, Office 13, Office Smart, Open, Open And Repair, Open As Copy, Open File Options in Microsoft Office 2013, Open In Browser, Open In Protected View, Open Read Only, Smart Office. Bookmark the permalink. 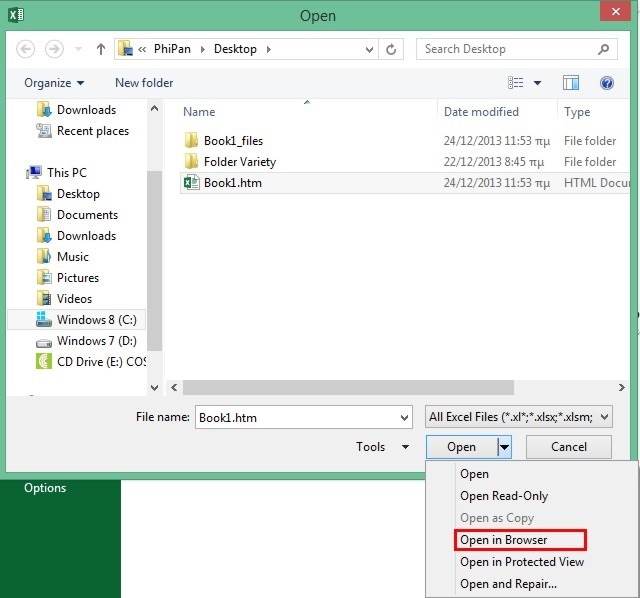 Comments Off on Open File Options in Microsoft Office 2013.